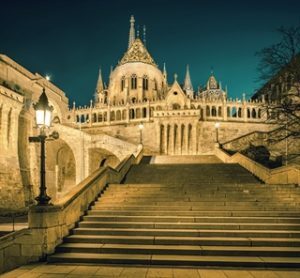 Tremor from Basic Science to Clinical Diagnosis and Therapy takes place November 10-11, 2017 in Budapest, Hungary.Tremors are common but present in different movement disorders. The sources and networks for their generation are still of interest in basic and clinical studies, but their clinical diagnosis is a challenge. This course is intended for neurologists, neurosurgeons, neuroscientists and general practitioners interested in tremor. In the course, evidence based results and speakers’ experiences will be reviewed from the basic science and clinical points of view; and will involve the new tremor classification scheme, which is being developed by the International Parkinson and Movement Disorder Society. The course also focuses on the approach to pharmacotherapy and discusses the neurosurgical procedures with emphasis on deep brain stimulation. Video case reports submitted by the participants will be presented at the end of the program precipitating further discussions. This course is recommended for Movement disorder specialists, general neurologists, functional neurosurgeons, trainees, general practitioners.